The past year has been a whirl. I realised that I hadn’t logged into this pretty place for almost a year. It’s been way too long. The studio is buzzing. Busy busy bee’s with lot’s happening & the exciting changes that we had planned are starting to come into fruition. Lot’s of exciting changes ahead too which we’ll be blogging about. Hope you like the freshen up of our old logo (above). We have been working on our website making it responsive (or shop-able on mobile & tablet devices to you & me) and it’s pretty much taken up the whole of my free time, where I’d normally do a quick blog post. It’s almost done, thereabouts, meaning that most products can be viewed & bought on the dog & bone or ipad via different departments. Part of the exciting changes means that I’m going to have a little more free time on my hands to keep this wonderful space updated and fresh. & this makes me happy. This little bundle arrived in the post last week. 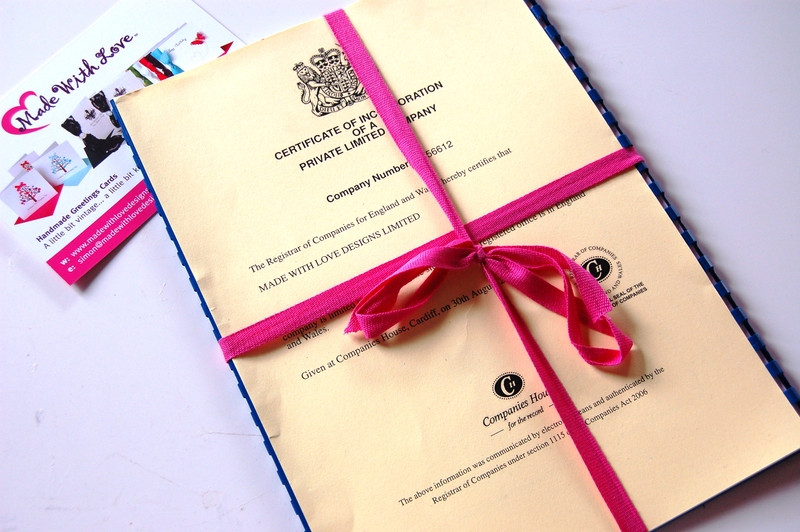 It’s been a busy few weeks at Made With Love as we have become a Limited Company. Ooooh Ahhhhh! So no longer am I (Clare) Self Employed but Clare the “Design/Operations Director” which makes me sound extremely flash and that I like. In my mind I’ll have a name plate on my desk saying ‘The Boss’, I’ll roll in at maybe 11am and force staff to bring me cake & coffee’s all day. Probably sit in a few important meetings. Naturally I’ll earn a wadge of cash & drive a flash company car as well (Ideally an Audi R8 or something like that). In reality, I’ll work harder than I’ve ever worked before, self motivate and push myself harder to make a success, I’ll take a modest salary so that we can grow the business to it’s maximum but at a steady pace, still chug around in my Audi A3 but never the less continue to live my happy life with my little family. But what going Limited basically means for us is that we will now be in a position to grow the business and take on more orders. We have a PAYE system in place to take on staff and really take things to the next level over the following year. We have so many plans in place 2011/2012 is going to the the year when we can make things happen. Joining the team full time as ‘Marketing/Sales Director’ is Simon Alker – My boyfriend/Lilly’s Daddy. Who is looking after the marketing aspects of the business. 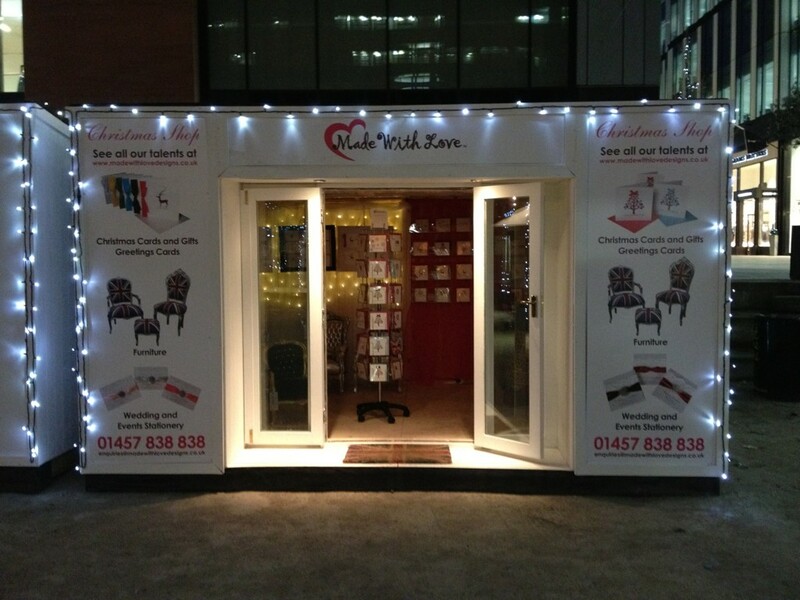 If you have seen Made With Love in a National Magazine, local newspaper or Bridal Mag, chances are it was Simon who worked on this. A little welcome blog post on Simon to follow. So whilst things have changed dramatically this year, we are very excited for the plans we have in place for this once was little business. Change is inevitable, change is scary but most of all change is goooooood. Bring it on!! We have put together a series of pages on the website to help clients decide on what wording to include in their wedding stationery. Over the Summer we will be working on wording help pages for all stationery items and plan to post about each on the blog. Today’s post is about RSVP Cards and what to include with the wordings for your RSVP Cards. We recommend that you include RSVP Cards with your invitations to allow guests to reply to you quickly. You may only need to include RSVP’s with your day/wedding invitations. R.S.V.P “répondez s’il vous plaît”: meaning Please respond/answer/reply. Prompt your guests to respond quickly which in turn will help you in the planning of your big day. We recommend that you state an ‘RSVP by’ date, which we can print inside your invitations, of a minimum of 6 weeks (or earlier) before the wedding date for guests to reply by. Tip: give yourself lot’s of time for the RSVP date. Feedback from our Brides is that more time you give for guests to RSVP is better. Most of our clients state their ‘RSVP by’ date for 3 months before the big day. A typical wording suggestion used in our RSVP’s is shown above. We have our standard template (above) where we print the Bride & Grooms name followed by an acceptance [we will be able to attend] or regrets [will not be able to attend] statement for guests to delete where appropriate. And a section for guests to write their names. You may also include extra information in your RSVP card wording such as: Dietary Requirements, Number of children and any other information that you feel you will need to know from your guests. RSVP cards come with envelopes which are printed with an address to return to. Guests will simply put a stamp on the envelope & pop their completed RSVP in the post. And you will have happy & stress free planning! In the art of postal correspondence and following wedding etiquette it is polite to address your RSVP envelopes (which we print free of charge for all RSVP’s) and it is polite to include a stamp on the RSVP envelope. RSVP’s can be posted as a standard letter size with a standard Stamp. 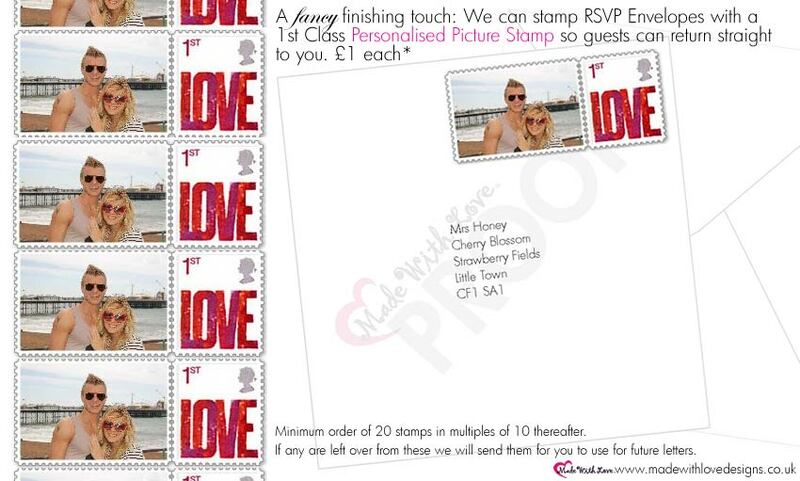 For something special we can pre-stamp your RSVP envelopes with your own personalised stamps. Please state when ordering whether this is required. RSVP Card Measurements will vary depending on the design you choose but will always be a simplified practical design to co-ordinate with your invitations. On a budget? You may only need RSVP cards for your day invitations. Or you may not need RSVP’s at all if you include some RSVP information inside invitations with a telephone number / email address for guests to reply to. RSVP’s are useful if you prefer a written response to your wedding. 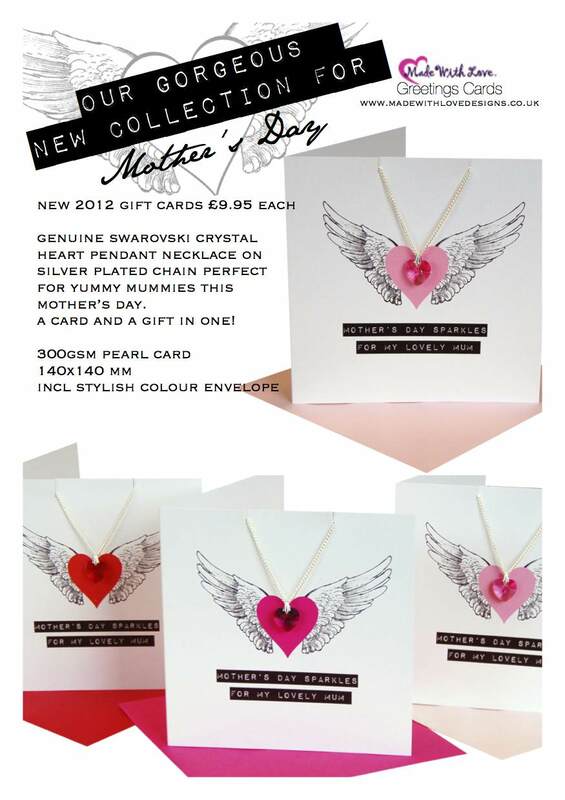 After ordering your RSVP Cards, please email your wording in a word document to orders@madewithlovedesigns.co.uk. We will work on a set of proofs for you to proof read your wording before signing off for us to print & commence design on your order. Design for wedding stationery orders is around 6 weeks and your RSVP cards will be sent with the 1st phase of your order (with your wedding invitations). The 2nd phase of your order will include all other items that you have ordered which will be sent before the day including table plans, order of service etc. Wording for 2nd phase items will not be required until a later date.